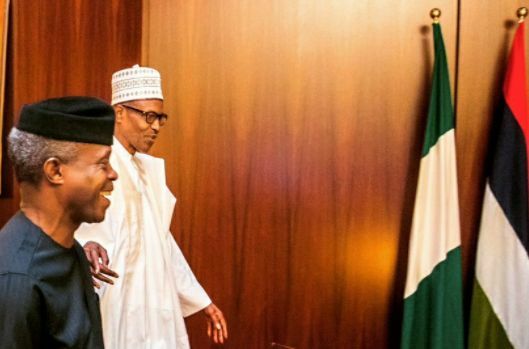 President Muhammadu Buhari has proposed the sum of N8.6 trillion for the 2018 budget, according to the details of the 2018-2020 Medium Term Expenditure Framework (MTEF) and the Fiscal Strategy Paper (FSP). The proposed amount, which is exactly N8.595trn, represents about 15 per cent increase from the 2017 current budget of N7.44trn. The proposal which was obtained by Daily Trust, is, however, subject to review by either lawmakers or the Presidency. The Federal Government had said that the 2018 budget proposal would be submitted to the National Assembly this month - October. The MTEF and FSP documents were presented to House of Reps and read at plenary on Tuesday. President Buhari said the proposed budget is predicated on an oil benchmark of $45 per barrel, with daily production output of 2.51 million barrels per day (bpd).Exchange rate stands at N305/$1. The president said the oil benchmark was based on moving average (MA) model, which de-links the benchmark from short and medium-term fluctuations in the market price of oil. “...in line with current realities in the international oil market, including weakening outlook of future prices occasioned by rising oil and unconventional oil supplies and slow economic recovery, as well as other potential downside risks, a benchmark oil of $45pb for 2018, $50pb for 2019 and $52pb in 2020 have been proposed,” he said. The proposal was against the backdrop of projected oil prices ranging from $50pb to $60pb in 2018 as the market regains balance, the document said. The total budget proposal includes N199.91bn grants and donor funding, the president said. It was learnt that the proposed 2018 budget is about N1.16trn above this year’s, it showed that capital expenditure would take N2.377trn, or 30.22 percent, against this year’s 31.73 percent (N2.174trn). Recurrent expenditure takes over N6trn, representing 69.78 percent. The aggregate revenue to fund the 2018 budget is projected at N5.65trn - 11.0% or N562.50bn over the 2017 estimate of N5.08trn. The MTEF document showed that 43.2 percent of the above amount is projected to come from oil sources, while the balance is to be earned from non-oil sources. “Following from the revenue projections and expenditure estimates, the fiscal deficit is estimated to increase by N592.75bn (or 25.0%) from the estimate of N2.36trn in 2017,” the document said. The breakdown indicated that N2.122trn would be share of oil revenue; N1.373trn for non-oil; N807.8bn from Companies Income Tax (CIT); N807.570bn from independent revenue; N277.562bn from the Customs; N241.920bn from Value Added Tax (VAT) and N114.298bn from Federal Government’s share of signature bonus, among others. The document projects a 10 percent increase in CIT and 42 percent in VAT. “Government may, however, review the VAT rate within the medium-term period,” the document said. Unlike in the 2017 budget where the sum of N97.6bn recovery fund from Swiss Banks was also used in financing the budget, there is zero of such amount for next year’s budget. The documents showed N8.979trn budget proposal for 2019 and N9.081trn for 2020. Further examination of the document revealed that the medium term fiscal strategy of government is focused on the recovery of the economy and promotion of sustained inclusive growth. Thus, the document said government’s fiscal strategy would be directed at accelerating growth, intensifying economic diversification and promoting inclusiveness; achieving macro-economic stability; enhancing oil revenues and accelerating non-oil revenues; addressing recurrent and capital spending imbalance, etcetera. Another area that the proposal focuses on is agriculture and food security, with the government targeting self-sufficiency in rice by 2018 and wheat in 2019. The Gross Domestic Product (GDP) is expected to grow at 3.5% in 2018, while inflation is expected to moderate to 12.42%, the document showed further. The fiscal document indicated that Nigeria’s public debt stock remains within acceptable thresholds despite the recourse to debt financing to cover the significant decline in government revenues due to lower international oil prices. It said the country’s debt stock at the end of the first quarter of the 2017 fiscal year was N19.16trn ($62.9bn), representing about 18 percent of nominal GDP. The federal government’s domestic debt stock accounts for 63 percent of the total debt stock; the states’ domestic debt is 15%, while the external debt of both the federal and state governments represents 22%. The document listed some likely risks and enumerated their mitigation strategies. For example, government will maintain N20bn in the ecological funds account for immediate emergency response in the event of natural disaster. About a fortnight ago, the Minister of Budget and National Planning, Senator Udo Udoma said the Federal Government would roll 60 percent of capital projects for this year to 2018 fiscal calendar. “In other to restore our January to December calendar, we have decided to roll over 50 to 60 percent of the capital projects. The MDAs have been told this. The revenues are better than last year but not sufficient to fund the budget. We need to borrow and we have been borrowing. We cannot spend N2.1trillion in five months,” he had said. Based on the above submission, two days later, Senate President BukolaSaraki said the plan would make the 2018 budget to rise to N10tr. “If you are talking about 50 per cent (capital project), it means that you are talking about N10tr budget next year. I hope the executive will take note of this,” he said.